We have a variety of tours available for our customers. We can customize a package to suit any sized group, length of ride or number of days, guided or self guided. Our tours can be adapted to include accomodations, transfers, and even meals and entertainment if you desire. Our tours include touring bicycles, detailed maps and guides, turn-by-turn directions, accomodations at inns, bed and breakfasts or full service resorts, breakfast at most locations, points of interest and suggestions for hot spots to eat. 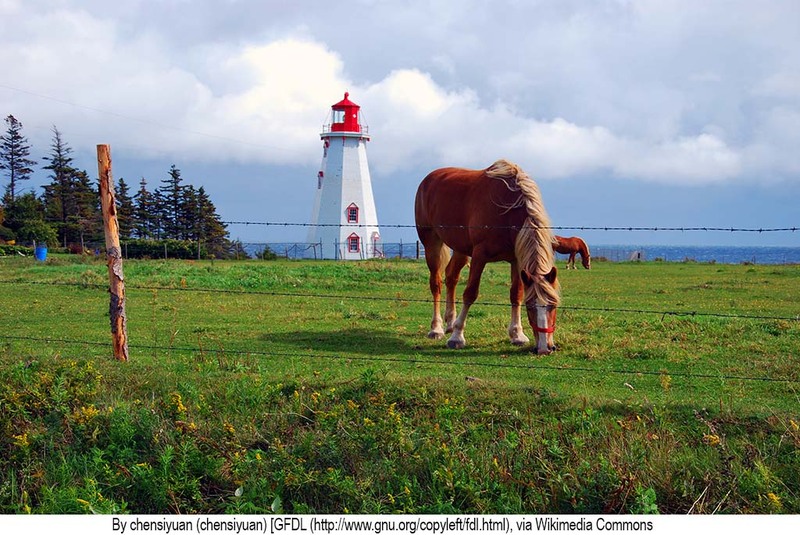 We love Prince Edward Island Between the beauty of P.E.I. and the tips we got from Outer Limit Sports of some of its high lights when we rented our bikes made for an unforgetable vacation." Our most popular trail system on PEI is the confederations trail. This system runs through the entire island and is 435 km from tip to tip. The confederation trail is our former rail way system. Shortly after the Island rail way was de commissioned it was turned into a bike and pedestrian path. Confederation trail is generally flat with very little elevation change. The surface is hard packed crushed gravel making it a very easy ride. We have several tours that include Confederation trail ranging from short half day trips to our 8 day trip. Because we are an Island based company we have extensive knowledge of the Island as well as the best routes and accomodations for your trip. This tip to tip tour will showcase our entire Island and features the best of PEI. Our tour begins by shuttling you to the western end of PEI. This shuttle ride will take approximately 2 hours. During your ride your shuttle driver will give be able to provide you with all kinds of information on PEI, its history, landmarks and attractions. Sneak a peek of our PEI wind farms in the distance as your start your cycling trip along the coast of PEI with views of the Atlantic Ocean. Along the way take time to stop at one of our fishing ports to watch our local fishermen starting or ending their day with fresh catches on board. Keep your eye open for our wild foxes which many tours report seeing in this area. You will spend some time cycling on Confederation Trail which is the Island's former rail way system. This means the trail is flat with very little elevation making for an easy ride. The trail is crushed gravel and only cyclists and pedestrians are permitted on the trail. As you enter the second largest city in PEI, Summerside, stop and treat yourself to a ice cream at one of the many local dairy bars. As you continue your tour you will ride on the road and enter Stanley Bridge where we have an excellent recommendation for a seafood dinner! Continuing along you will encounter slight elevation changes to stretch your legs out a bit. Cycle past or stop in to the Anne of Green Gables attraction as you pass by on this leg of your tour. The next section of your tour will take you along our most popular beaches. Stop and kick your feet through the sand and dip your toes in the water. If you like seafood we have a great recommendation for a mid-afternoon snack. Continue through one of our favourite sections of the Confederation Trail along St. Peters Bay. Watch for bald eagles or hawks fishing in the bay which is a common sight. Save room for dinner at a very popular restaurant in this area! Finishing your tour make sure you take time to stop and snap some pictures to help remember your adventure as you will have some great views of the Atlantic Ocean. If time allows make a quick stop at the #1 rated beach in Canada. At the end of your tour our shuttle driver will be waiting to shuttle you back to our store in Charlottetown. This shuttle ride will take approximately 90 minutes. When planning your itinerary we select the best accommodations for your route which, normally, include breakfast. Although we do not release exact details of our routes or accommodations, once you book your bike tour with us, we will provide this information to you. If you would like any changes to your itinerary and/or accommodations, prior to our booking them on your behalf, we would be more than happy to make any necessary revisions. This trip is for you and we want to ensure you are happy with what we are providing! We are a bicycle store which means our rental fleet is new and is replaced at the beginning of each season. This also means the bicycles are built and maintained after each rental by our certified bicycle mechanics providing you with peace of mind and allowing you to focus on enjoying the ride and our lovely Island scenery. Your tour will include one of our new touring hybrid bikes as well as a rear pannier rack, water bottle cage, repair kit, helmet, locks and your turn by turn directions with points of interest, shuttles and accommodations. Super Service! We went on a five day pedal bike tour of central PEI renting four bikes for the week. Very accommodating staff! I mentioned that I had back issues and a special bike was brought out for me to ride. The ride turned out beautifully! There were no problems with bikes breaking down during the trip. Booking the bikes and returning the bikes was easy. Would highly recommend!" This is our best selling tour and is available in a variety of lengths. Start your tour by cycling from our store in Charlottetown to the north shore of PEI. Spend some time along the way visiting a string of great local beaches or cycle on a small Island fillled with walking and cycling trails. Spend the night at a favorite accomodation amongst returning guests. The second leg of your trip will have you primarily cycling on smooth asphalt. This section is relatively flat with very little elevation change. You will cycle through towering sand dunes and along some of the most popular beaches PEI has to offer. Take a break from your tour to run your feet through the sand and dip your toes in the water of the Atlantic Ocean. Cycle up a little further and have a quick mid-afternoon snack at one of the Island's most popular restaurants. Continue along to your first accommodation keeping your eyes open for our local wildlife such as wild foxes, piping plovers or raccoons. Stop for a rest at your second accommodation. Enjoy breakfast the next morning before you start your day. Prepare to cycle one of the most beautiful sections of PEI on this day! This section of your trip will take you along the Confederation Trail. This trail is the Island's former railway system. It is quite flat with very little elevation change. Your route will take you along St. Peters Bay where you may catch a glimpse of a bald eagle or wild hawk fishing for food in the Bay. Try to arrive at your next accommodation with a healthy appetite. We have an excellent restaurant to recommend to you...especially if you love seafood! If time allows, take a detour from your planned itinerary before you retire for the night to visit our favourite beach on PEI. This is truly a hidden gem! Start your next day with breakfast at your accommodation and get ready for another great day of cycling along the Confederation Trail. Be sure to take some pictures to capture some memories and the beauty of PEI. If time allows make a quick stop at the #1 rated beach in Canada. Continue along your way to your next destination nestled in a quaint Island town you will love. Your next day will take you along a very scenic coastal drive of PEI and lead you into an award winning resort where you can relax, put your feet up, enjoy the spa or just enjoy a quiet night. As you finish up your tour and are on your way back to our shop you will have an opportunity to stop in at a local cafe well known for its fantastic food and great local live music. This tour really does have it all, and we think you will love it! We also have guided tours available for Road, Mountain or Confederation Trail. Friendly and flexible I wanted a bike for a 2 days trip around Charlottetown. They had great bikes, prices, friendly staff and were flexible with my needs. Not too far from downtown. I love that the bikes are not screaming "tourist" on them and were very reliable." Call 1-902-569-5690 or email sales@ols.ca for more detailed information. We would love to talk to you and help plan your perfect cycling vacation! In addition we have a number of recommended rides that most of our customers have been able to complete in one day. These include tours of the North Shore, Charlottetown, St. Peters Bay areas and more. These tours are offered to our customers free off charge with their bike rental. 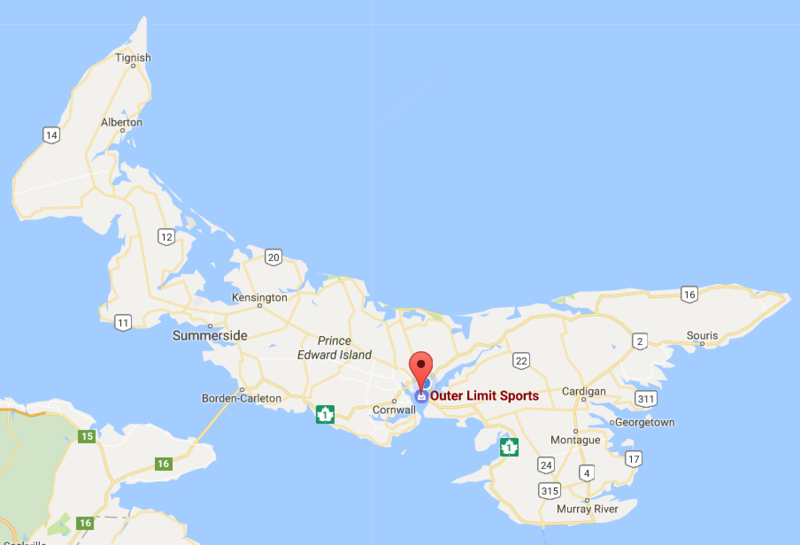 Outer Limit Sports is conveniently located in Charlottetown, just 10 minutes away from the Airport. 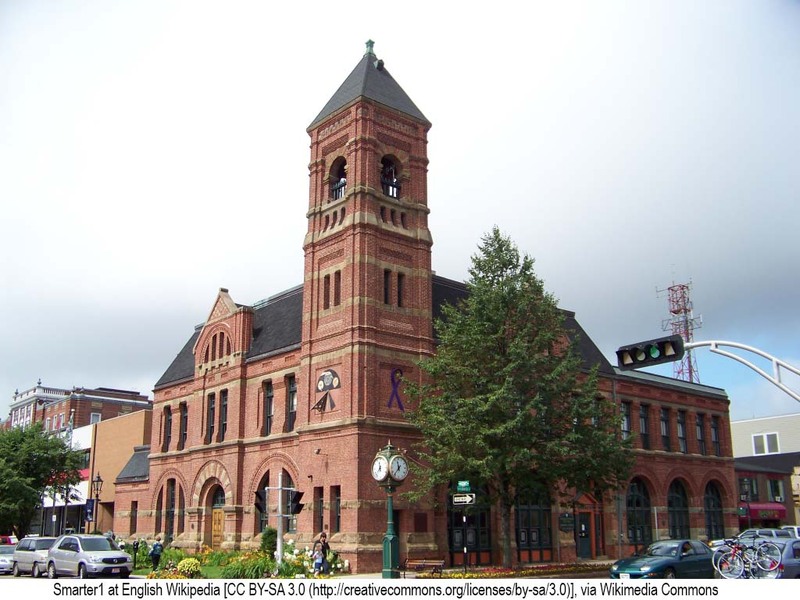 Charlottetown is the provincial capital and, as the birthplace of confederation, it is rich in history. The trip from Borden to Charlottetown along the Trans Canada Highway (Route 1) has three medium size hills. Along this route you will be struck by how green the fields are and around each hill you will be amazed by the changing scenery. It is as if the landspace was created specifically for the tourism industry. And if seascapes are your thing, hang a right when you get to the village of Desable and travel the Blue Heron Route along Argyle Shore, Canoe Cove, and Rocky Point. Using Charlottetown as your base, it is a 90 to 120 minute ride to the North Shore and an opportunity to visit the various Island beaches and fishing villages...Brackley, Stanhope, and Dalvay just to name a few. Again using Charlottetown as a base to visit the eastern end of the Island, it is 180 kms (110 miles) to travel to East Point using the route designated "The King's Byway". Taking St. Peters Road out of Charlottetown, you will travel the North Shore and gulf side of the island. At the halfway point you will find campgrounds located at Campbell's Cove and Red Point. If you chose to head west to Summerside, you will proceed along the Trans Canada Highway (TCH) and turn off at a clearly-marked exit onto Highway 1A, the "Lady Slipper Route". This route is flat and an indication of the type of riding you can expect in Prince County. From Summerside, it is possible to take day trips and experience many new adventures. By following the well-marked Lady Slipper Route you will take in the small villages of Mont Carmel, Cape Egmont, and Abrams Village. From here you can easily make it to Cedar Dunes camping park in one day. In another day you can go up around North Cape. Again from Summerside you can visit the North Shore and our famous Cavendish Beach area - all within one day's travel. Leave Dalvay Hotel and turn right into the National Park. Cycle to Route 6.. turn right.. watch for some wild blueberries in the ditches.. cycle to intersection of Route 25. You can take the Bay Shore Road back to the park, or stay on Route 6 and cycle to Brackley Beach. Then follow Route 15 up and into the National Park and then return to Dalvay By The Sea Hotel. Don't miss the Bubbling Springs and Farmland trails. The long ride is about 25 km. Alternatively Leave Dalvay Hotel, turn left and cycle to Brackley Beach, then down to Oyster Bed Bridge, then down Route 251 to Wheatley River (hilly section). Now take Route 243 up to South Rustico, turn right.. then left onto Route 242. Take the Cymbria loop and return to the National Park. Don't miss the Dunes Studio. Round trip approximately 50 km. Suggestion... Drive (or cycle) to Morell. Cycle on the Confederation Trail to St. Peters (11 km) then cycle out to Greenwich National Park (10 km). Walk through the dunes to the beach (try to avoid the boardwalk - fly right at the beginning). Round trip about 40 km. Suggestion... Take the Confederation Trail to Montague Junction then left and into Montague (11 km). Cycle on Route 17 out to Panmure Island Provincial Park and beach and back. Round trip about 50 km. Suggestion... Drive up to Souris and cycle up Route 16 to (East Shore) East Point Lighthouse.. don't miss Rusty's Beach in Bothwell and Red Point Provincial Park.. and Basin Head. Suggestion... Cycle to Northumberland Park and cycle Route 4 to Guernsey Cove.. there is a wonderful beach - MacKay's.., ride through Beach Point, Murray Harbour and Murray River (shops) and back. Some people figure they can get in shape on the first week of a road tour. They find out pretty quickly that they should have done it earlier. The best approach, if you haven't been riding much, is to start training 2-3 months beforehand. Start by riding 15-20 miles a day, 3 days/week. Raise your mileage 10% per week. The slow, gradual approach is always best. Look at your trip itinerary and find your longest day. If it's 90 miles you should be able to do 70 miles training. You can ride about twice as far in a day as you've ever ridden while training. But do some long training days to see how your body reacts. Be mentally prepared. A lot of people quit a tour because they let things get to them. It's not a physical problem. You have to be prepared to face difficult times and work through them. You have to convince yourself that you'll keep going. If you're going on a camping trip, do at least 2 training rides with the bike fully loaded, especially if you've never ridden with panniers. The extra weight changes your bike into a different beast, stability- and handling- wise. You have to brake earlier because your bike's heavier. And you have to stay on top of the bike more in turns. If you lean the bike too low, your front panniers can hit the ground. Also be careful on rough roads, because the initial shock on your wheels is greater with the added weight. Get a comfortable saddle, even if it's heavy. Chamois salve works for some people, but baby powder is great, especially at night to keep yourself dry. Sometimes, though, there's nothing to do but work through a miserable break-in period. It usually lasts about 3-4 days. If you'll be renting a bike, take your own saddle. As for hands, padded gloves are great, but moving your hands around the handlebar is the key. A drop handlebar is good, but a mountain bike with bar ends or an aero bar works too. A hybrid is still the best, although more mountain bike-style frames are being seen as well. Touring bikes are good. A 3-chainring setup is a necessity. With 2 rings, you just can't relax on the climbs - you have to stand. Smooth-tread tires are a must too.